Indian tycoon Vijay Mallya should be extradited from Britain to India to face fraud charges resulting from the collapse of his defunct Kingfisher Airlines, a London court ruled on Monday. London, Dec 10, 2018: Indian tycoon Vijay Mallya should be extradited from Britain to India to face fraud charges resulting from the collapse of his defunct Kingfisher Airlines, a London court ruled on Monday. India wants to bring criminal action against Mallya, 62, whose business interests have ranged from aviation to liquor, over USD 1.4 billion in loans Kingfisher took out from Indian banks which the authorities argue he had no intention of repaying. Great Day for India. No one who cheats India will go scot free. The Judgement of UK’s Court is welcome. An offender benefited during the UPA. The NDA brings him to book. A defiant Vijay Mallya, had earlier on Monday sought to disprove the narrative that he has “stolen” money and said his offer to repay the principal amount to the Indian banks was “not bogus”. 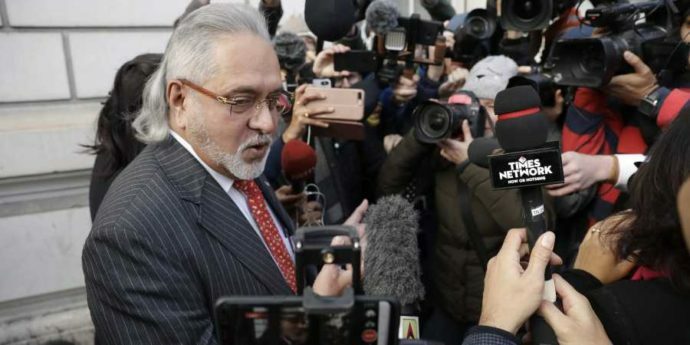 Mallya made the remarks while talking to reporters outside the Westminster Magistrates’ Court before it delivered its verdict on his extradition after a year-long trial. A CBI spokesperson said on Vijay Mallya’s extradition decision by UK court to India: We hope to bring him soon and conclude the case. CBI has its own inherent strengths. We worked hard on this case. We are strong on Law and facts and we were confident while pursuing extradition process.